Superstitions and myths surrounding bats cause many people to seek ways to get rid of rather than attract them. However, once people learn the truth, they want to keep them around. 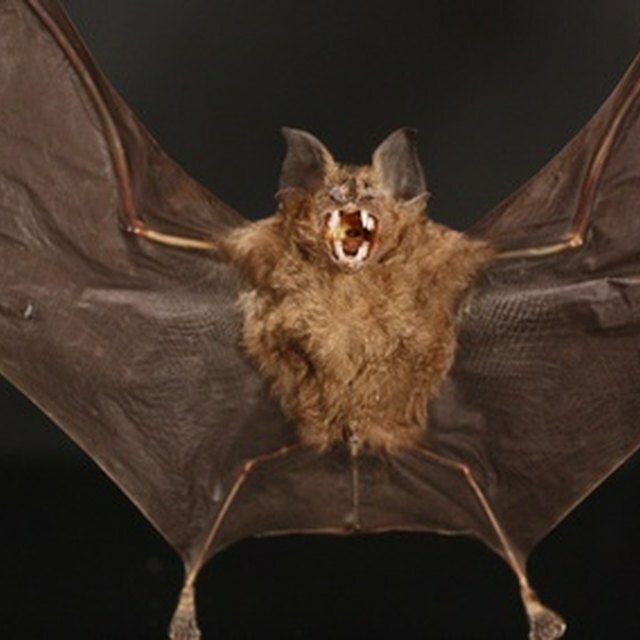 These winged mammals are experts at pest control; one bat can eat up to 3,000 insects in a single night, reducing the need for chemical pesticides. In some areas bat numbers are dwindling due to loss of habitat and the spread of white nose syndrome, a deadly fungal disease. Providing shelter in the form of a bat box can help prevent the spread of white nose and keep bat populations at a steady level. The best bat house placement considers a bat's basic needs, such as temperature, the availability of food and water sources, and safety from predators. You can attract bats to your yard by providing an appropriate home for them. It is easy to find plans to build a bat box online, or you can purchase a ready-to-make kit. If you choose a good location based on bats’ basic needs, in most cases bats will soon find and occupy their new home, which they will return to each year. But it can take some time, up to two years, for bats to discover the house. If no bats begin to use the house after two years, try a new location. Avoid chemical pesticide use, which will reduce the available food sources, and keep a variety of plants nearby to attract insects that the bats will use for food. Bats eat more than 1,000 insects a day, so locations that attract many types of insects throughout the season are ideal. Most bats choose homes within a quarter mile of slow-moving water and near the edges of wooded areas and open fields. Place a bat box high enough to allow an unobstructed flight area, with the bottom of the box 15 to 20 feet above ground. While many houses are mounted on buildings, multi-chambered bat houses can be mounted back to back on a pole to ensure a steady temperature inside the box. Bats rarely use boxes mounted to metal buildings, so that placement is not recommended. The amount of sun a bat box needs depends largely on the climate. In northern areas, a location that receives six to eight hours of sunlight a day is preferred, while in warmer southern climates, sun exposure is less important. Ideally the interior temperature of a bat house will be between 80 and 100 degrees in the summer. Consistently warm temperatures are particularly important when bats are raising their young. The best place for a bat house is a place that is safe from predators and away from human interference. Bat boxes should not be placed in shady, cool locations or near bright lights or shiny surfaces that can reflect light into the box. They should be placed at least 20 feet from tree branches, wires or anything a potential predator could perch on, and at least 10 feet above any shrubs or other flight obstacles. Any location where they could be inadvertently disturbed, such as along busy roads or a place where a pole-mounted box might be bumped should also be avoided. Keep in mind that guano (bat droppings) will accumulate under the bat box; placing the box over doors and walkways is not recommended. Maryland Cooperative Extension: Got Bugs? Get Bats! Kimberly Yavorski is a freelance writer with a passion for learning, especially about nature, outdoors and the natural sciences. A longtime student of the life sciences, she served as a leader for Girl Scouts and 4H, sharing her interests by teaching children and teens about natural and environmental science and animal anatomy. Her work has also appeared on LetsGetOutside.us and Happy Science Mom. She can be found at www.kimberlyyavorski.com. What Pole Should You Use for a Blue Bird House? Yavorski, Kimberly. "The Best Location for Bat Houses." Sciencing, https://sciencing.com/location-bat-houses-5768100.html. 02 August 2018.